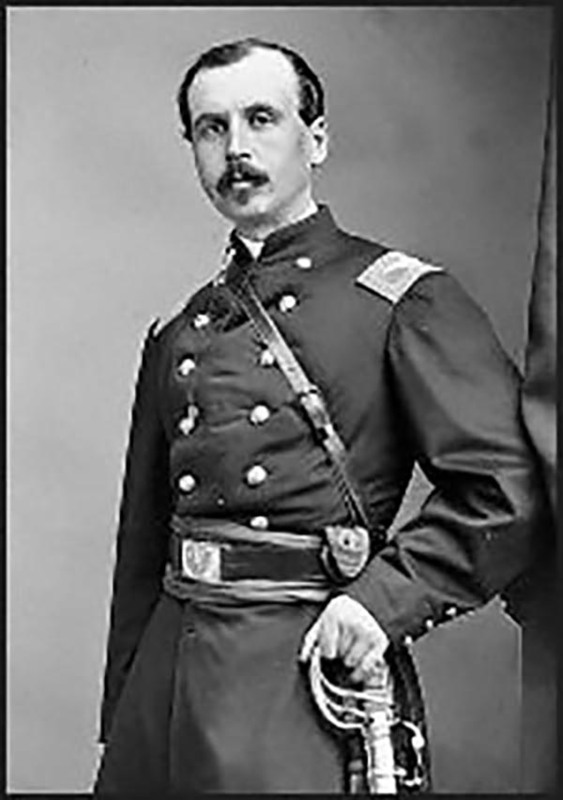 Charles William (Guillaum) Joseph Émile Le Gendre (August 26, 1830 - September 1, 1899) was a French-American diplomat active in East Asia during the second part of the 20th century. Born in Ouillins, France, Le Gendres came from a well connect family and attended both the Royal College of Rheims and the University of Paris. Around 1854 Le Gendre married an American, Clara Victoria Mulock (daughter of William Murlock) and moved to New York. During the American Civil War he served honorably and, despite being gravely wounded and losing an eye, rose rapidly in rank. He was discharged in 1864 with the brevet title of Brigadier General. Shortly following the 1865 close of the War, Le Gendre was dispatched as the American consul to Amoy China, in charge of the port cities of Amoy, Keelung, Taiwanfoo, Tamsui, and Takao. In this position Le Gendre traveled extensively throughout the region, earning the respect of authorities both in China and America. When the crew of an American fishing vessel, the Rover, was killed by Taiwanese aborigines following a shipwreck in southern Formosa, Le Gendre traveled to Taiwan. While his general purpose was to ransom presumed hostages from the Rover as well as prevent future hostilities, his secondary mission was to reconnoiter the island for trade. His detailed mappings for Formosa were by far the most advanced to date and were used in government issue charts well into the 1960s. In 1872 Le Gendre resigned his post as American Consul to take a position in the service of the Emperor of Japan, becoming the first foreigner to be employed in a Japanese government position. Le Gendre remained in the position until 1890 when he left Japan for Korea, where he took another advisory post. He held a position with the King of Korea until his death in Seoul on September 1 of 1899.